Apply powders flawlessly with Mirabella''s Dual Finish Blush and Powder Brush. 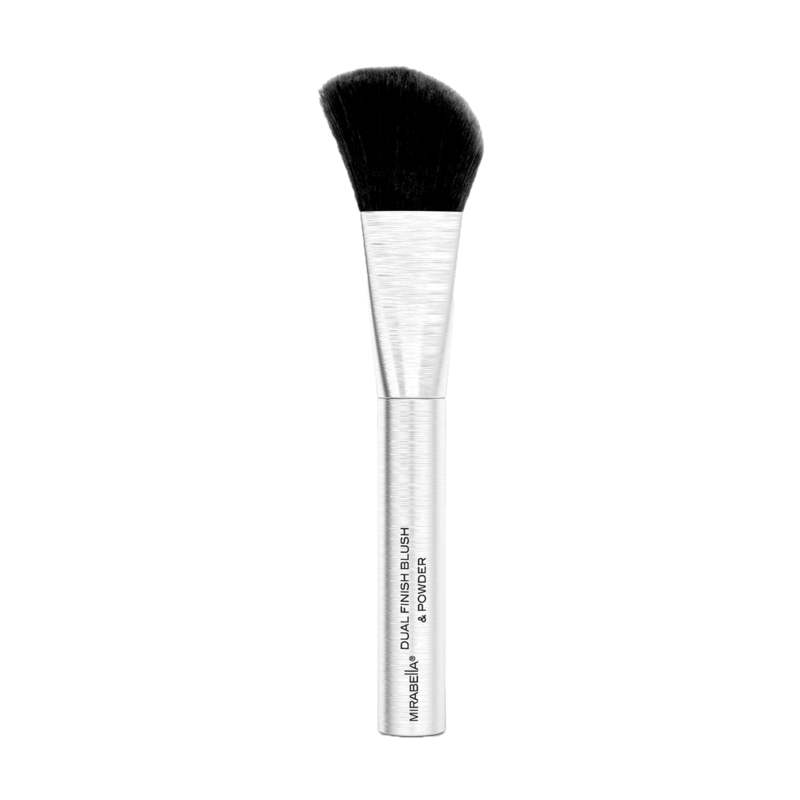 Created with an angle to hug the contours of the face, this brush''s unique angled design allows for precise application of blush to the cheekbones while the luxurious synthetic bristles pick up and distribute richly-pigmented powders for seamless blending. Luxurious super-soft synthetic bristles.